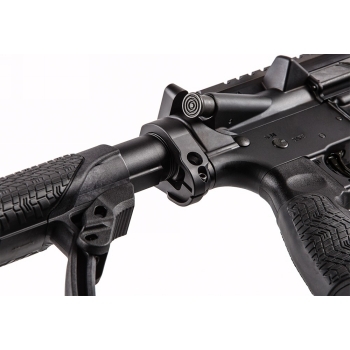 The CAR EZ Mount attaches quickly to any AR15/M4 with a collapsible buttstock. It requires no gunsmithing and an allen key is included for attachment. It is CNC machined from 6061 T6 aluminum and has a type 3 mil spec hard coat anodize finish. It also features a heavy duty steel Uncle Mikes pushbutton QD swivel attachment that allows for ambidextrous functionality. 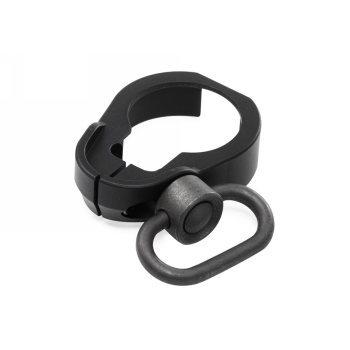 The QD swivel can be swapped from left to right with the push of a button. 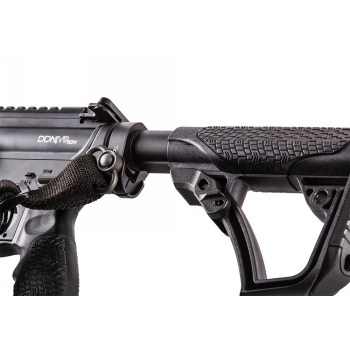 Works great with our CQB Sling or get it all at once with our CQB Sling Kit and save money!